Day 243: Climb Any Mountain . . . So, did you know that today is a very special day? Truth be told, it is special for several reasons – it’s the 50th Anniversary of the first Americans landing in Nepal an successfully climbing to the peak of Mt. Everest – can you imagine? The shear height of the climb would get us unnerved – much less the thought of staying triumphant in the climb. Talk about going great heights to find what you’re looking for! In our case it would have been a better wine–probably NOT there–but in others, it was the thrill of the hunt, the chance to prove something to themselves or others that they were and deserved greatness. When the trio took off and headed north, who knew what adventures lay ahead. And, who knew what dangers lay ahead as well! Back in those days, there was NO internet, NO cell phones, No Facebook, Twitter, Instagram. . .no, there was barely a phone system and it didn’t work there! Oh, and the weather…did you know that when those big, nasty winter storms kick up, you’re kind of paralyzed? These explorers could care less and moved forward at a tremendous pace. It is the stuff that LEGENDS are made of! So, when you talk about legends…and you talk about doing something that hasn’t been done before…we decided that a really special bottle of wine would be tonight’s “wine du jour”…who would have thought that we’d picked out a winner like this? It’s like we climbed Mt. Everest and found a GEM! Tonight we enjoyed a 2010 bottle of Falesco Vitiano Rosso. . .an amazing blend of 34% Merlot, 33 % Sangiovese and 33% Cabernet Sauvignon! Oh My!!! This is a WINE FOR YOUR LIST!!!! 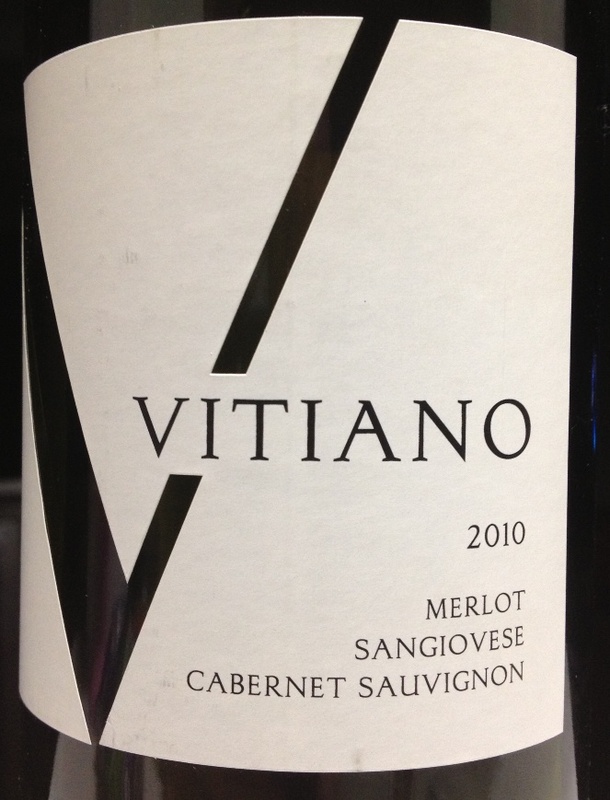 With Vitiano the wine makers tried to achieve a wine with explosive, luscious aromatic fragrance. The nose was like a garden of vegetables…green peppers ruled the air, but at the same time, we could tell that there was structure to this wine–even on the nose! This wine has a wonderful, deep, intense ruby red color with important, solid, and wide open qualities, but above all it exalts the food it is combined with. It is a very rich wine which harmonizes with its fresh, tasty acidity. It is versatile red, quite innovative in style which can be appreciated immediately. It adapts easily to various dishes and can be drunk litghtheartedly drawing great pleasure from the sharp fragrance of its perfumes and its straightforward character. As mentioned, it’s a blend of 34% Sangiovese, 33% Merlot, 33% Cabernet Sauvignon…what a combination! Yep, this one is a keeper for your wine cabinets and has a maturation timeline of 3-5 years. . .so enjoy it now or enjoy it even more in the future! What makes this wine a great value is that — it’s rated at 88 points by Wine Enthusiast — it’s only going to set you back by $13 a bottle! YES, if you don’t go out and get a hold of this wine…at this price…you’re making a BIG mistake. Wow, this is the deal of the day…and, while we HATE to quote what others say, this is an amazing compliment to this wine…”You can’t beat this low price. No wonder Vitiano is a constant feature on wine lists at restaurants across Rome. This blend of Merlot, Cabernet Sauvignon and Sangiovese offers spicy oak notes, with suggestions of ripe cherry, blackberry and spice. Best Buy.” Seriously…this is a Top Ten so far this year! Whether climbing Mt. Everest or the entrance ramp to the freeway, we know that it takes time and commitment to achieve goals. As we move forward towards the final months of our wine journey, we’re glad that you’ve come along for the trek. Grab a glass of your favorite wine. . .enjoy it responsibly and remember to recycle those bottles along the way. Until tomorrow — or is it today:? — Thanks for stopping and enjoying some juice with us! Categories: Uncategorized | Tags: Mt. Everest, Vitiano | Permalink.